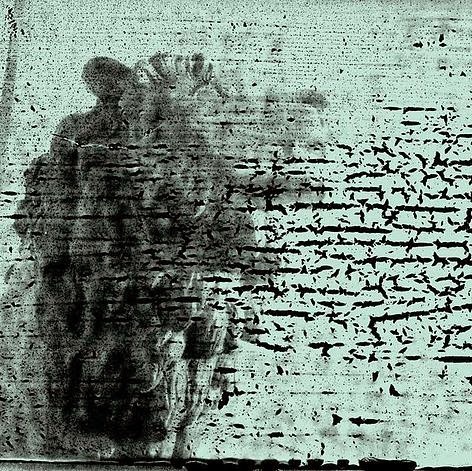 New Music: Smashing Pumpkins -"Monuments to an Elegy"
Home› News › New Music: Smashing Pumpkins -"Monuments to an Elegy"
I was never a Smashing Pumpkins fan in the 90’s when they were pretty much on top of the world. Being into music in middle school and through high school, you usually go through a period of pretentious snobbery surrounding yourself with others who do the same, while listening to the most obscure things imaginable. As you approach your late 20’s into your 30’s, you tend to just not care about being cool anymore. I started listening to the Smashing Pumpkins when “Oceania” was released in 2012 and was blown away by how incredible the album was. From start to finish, this album was a masterpiece. So I started listening to the older albums and the band instantly grew into one of my favorites. When “Monuments to an Elegy” was announced, I was really excited. I would scour the web looking for something leaked, just to get a preview of what the music was going to be like. Billy Corgan is a weird guy who is constantly misunderstood. I’m not going to pretend that I get him fully, but musically I understand his struggles as an artist. If you listen to the Smashing Pumpkins, you know that each album released is different. They each have a different sound which to me makes the band interesting. It also explains why the band fell off the map. The commercial sounds of “Mellon Collie and the Infinite Sadness” didn’t carry over from album to album, in fact, it would drastically change. On the Howard Stern show, Corgan came out and said he felt that bands like the Foo Fighters and Nirvana were good but overrated. He stressed that the Foo Fighters have almost mastered a formula for their music, lacking innovation. He’s right. Every Foo Fighters song is the same. Even fans of the band that I know will admit that. It all sounds the same. “Monuments to an Elegy” is an almost sarcastic take on “Mellon Collie.” I won’t admit to knowing this myself, but Corgan revealed that the album was supposed almost be a tribute to the commercial sound that made them famous, basically hinting that it’s not “THEIR” sound but its for “US.” The explanation he gives is awesomely convoluted, but that’s why he’s a genius. The number one criticism I hear from this album is that it’s too short. And it is. With that being said, the rest of the album musically is outstanding. The drum work in this album is totally awesome. We basically know that there are only 2 original members of the band left. Currently playing with them on drums on the regular is Brad Wilk of Rage Against the Machine, but on this album, it’s Tommy Lee. I’m not a fan of Tommy Lee as a person and always thought he was a bit lame, but on this album, he blasts these songs out! The story on how they got him was great. He was in the recording studio doing something of his own when Corgan and the band came in to record. They had approached him to see if he would play the drums for one song on the album. He of course said yes, rocked the song out as if he were playing a stadium show, and then wanted to play for the whole album. The drum work on the album is great. In the end you have an album that is above average by the Pumpkins, short in length, but solid in content. The music is interesting to listen to and the songs are catchy like their old commercial hits. I actually got this on vinyl for Christmas and it’s super nice. Check out “Tiberius” below. If you like it, you will love this album.